In order to ensure the best possible service, please consult our illustrated guide! Please leave a space of at least 6 ft between your vehicle and the street. Following our first cleaning, please ensure that all vehicles have been removed by 9 am latest. Vehicles must be parked at least 8 ft from the edge of the driveway. 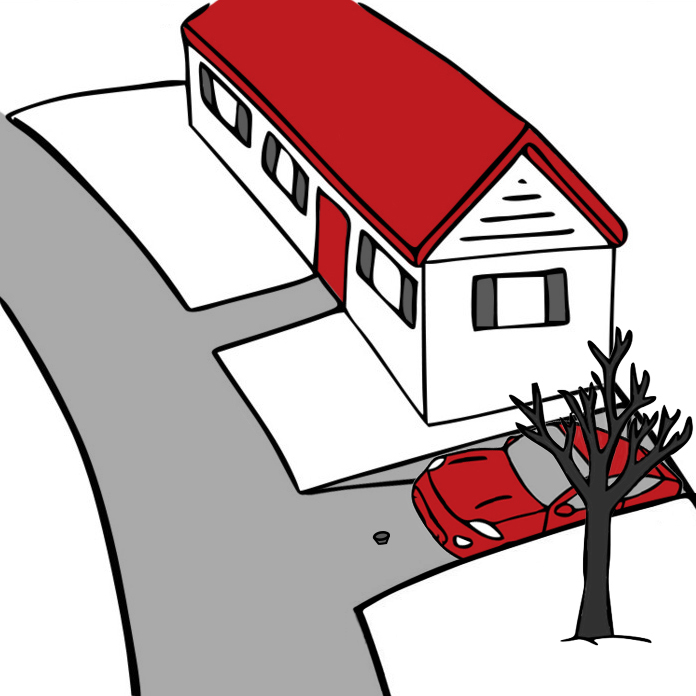 To allow for proper snow removal operations, please trim any low overhanging branches. Our tractors need at least 10 ft of clearance. For sloped driveways please spread salt or other abrasives to prevent slick working conditions. If you should choose to shovel snow onto your driveway please do so before 9 am. Drivers will not come back to remove this snow once the final pass has been completed. Please ensure that garbage and recycling bins are placed on the left hand side of your driveway (as shown).